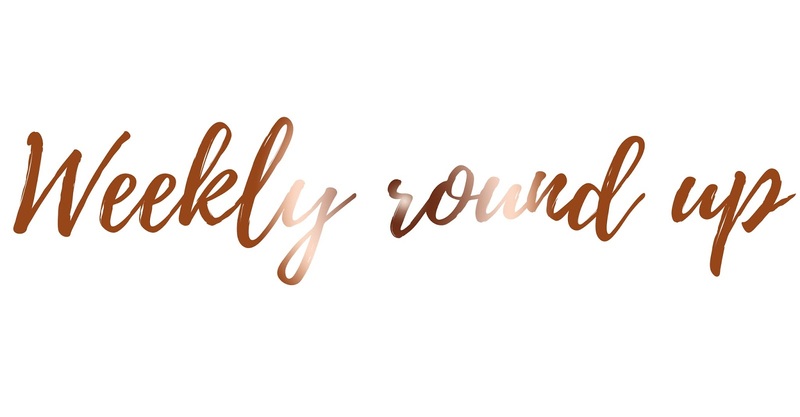 This time last week I posted my first Weekly Round Up and I cannot believe how many people loved it; it was definitely a surprise! I decided to start these weekly posts to round up my week and to always see the positive parts of a week and not just the negative. I'd say this week has been my worst week of 2017 so far. Not only was I very sensitive and emotional but my job got to my as well; leaving me feeling absolutely crappy on a Friday night. Not that this was an issue as I do not go out on a Friday night but it would have been so much nicer to feel happy and joyful instead of crying down the phone to my boyfriend. So it's eight days until I'm back at University and during this week I finally received my module guides, my reading list and also found out my Uni days have changed! I'm actually quite glad that they've changed because I now have a Wednesday to do anything I want to do instead of a Monday. This also means I can spend Tuesday and Wednesday every week doing any uni work if I want too. Whereas previously I had uni on a Wednesday and then I worked on Thursday and Friday which I weren't really fond about to be honest. I also found out students in our class can no longer bring their children into lectures; yippee! I couldn't be more happy. I haven't exactly done a lot this week. I went to town with my mum on one day and spent time shopping and getting a few bargains. But apart from going out on one day, I've spent my time in doors generally feeling quite rubbish and down about everything. I'm sure many of you know by now that I work as a one-to-one learning support assistant for a young boy who has ADHD. I work on a Thursday and Friday for the whole school day and although this job is extremely rewarding, it's also extremely challenging and frustrating at the same time. However, every time I go to the toilet at work I see a sign which says "If it doesn't challenge you then it won't change you" which helps me to stay focused at work and to remember that although every day working with this child can be rather challenging, it's all worth it and it will change both him and myself. However, the most difficult part about this job is when you're constantly being compared to the person you job share with or when you go into work and every morning the same person says "You could do this, or you could do that" even when you've already tried everything. The thing is, what works on one day, doesn't always work on the next day and so I'm constantly thinking on the spot and trying to find something new which will make this child do his work or to behave but then the next day, these things might not work again. So this week my job did get too me. I'm tired of being compared to the person I job share with. I'm tired of being told to do things when I know they do not work. I'm also so tired of continuously having to stick up for myself and say actually, what I'm doing is the best thing for this child and although you might not see it, everyone else does. 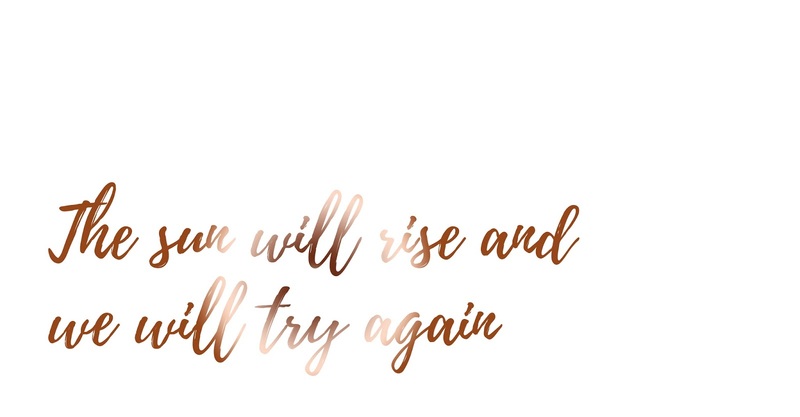 I found this quote and it made me remember how although one day can be absolutely terrible, or even a whole week; the sun will always rise and we can always try again. Just because we're having a bad day one day, doesn't mean the next day is going to be bad as well and this is something I always forget. Tomorrow is a new week and today is a new day. So remember to hold your head up high and remind yourself why you're doing what you do and then battle every challenge as it comes because it will change you, but it will change you in the most incredible way. How has your week been? Let me know! The next time someone at work makes a 'suggestion' just smile and say 'okay'. It's exhausting having to justify yourself to someone else when you know what you're doing is fine. I find it's easier to agree with someone outwardly and then just do what you know is best anyway!